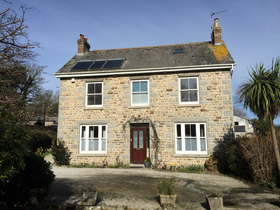 We are a team of Independent Chartered Building Surveyors based in Cornwall dedicated to providing our clients with professional advice in the residential and commercial sectors. We predominantly work in Cornwall but have undertaken projects and specialist investigations and Environmental monitoring across southern England and Wales. We are employed on all building types including residential bungalows and houses, large manor houses, vernacular cottages, barn conversions, and commercial buildings including offices, shops, schools, churches and chapels. Our clients range from private customers requiring a pre purchase survey on all housing types and sizes, or advice for extensions, alterations or refurbishment to their existing properties, to public bodies, large estates and property management companies. 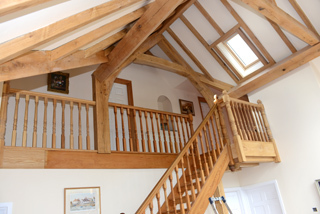 We undertake architectural design including new houses, extensions, and Barn Conversions. We provide detailed reports, specifications and by using Computer Aided Design we prepare detailed plans, including three dimensional views, for planning applications, building regulations and tender documents. We also undertake measured and topographical surveys and can offer a full project management service. We employ fully qualified surveyors who undertake yearly Continued Professional Development to keep up to date with the latest technology and developments. The director has obtained a Post Graduate Diploma in Building Conservation, is a Cardiff University Bond Solon Accredited Expert Witness and is currently undertaking a MSc in timber conservation at the University of York. We also employ trained Thermographers to undertake thermal imaging surveys. 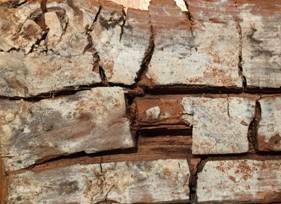 We also specialise in building pathology and the scientific assessment of timber decay and other damp related problems in historic and modern buildings. We offer a range of damp, timber decay and environmental monitoring surveys giving expert advice to our clients. Homeowners, architects, chartered surveyors and heritage organisations contact us for a variety investigation works. Over the last fifteen years our philosophy has been to specify remedial works after obtaining a full understanding of the building and the processes and mechanisms of decay organisms and beetles. By reducing the moisture content of the building fabric to safe levels fugal decay will die and insect infestations will be controlled. This avoids unnecessary chemical spray treatments. Our surveys provide independent detailed information and practical recommendations clients need for cost effective remedial or refurbishment work. 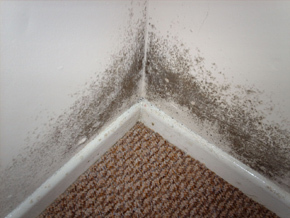 We offer clients advice on the control of damp in buildings and the severity of timber decay organisms including dry rot, wet rots, deathwatch beetle and furniture beetle detailing sustainable solutions that do not rely on damaging interventions or chemical treatments. We provide our clients with a cost effective appraisal of their buildings often saving substantial sums of money frequently wasted on inappropriate or unnecessary beetle infestation treatments or invasive dry rot repairs which in many cases results in the loss of significant amounts of historic fabric. Our clients have included numerous home owners, the National Trust, English Heritage, Cornwall Council, the Tregothnan Estate, the Royal Cornwall Museum and many commercial companies, churches and chapels. We have also provided specialist advice to architects, chartered surveyors and structural engineers on damp, timber decay, the use of traditional materials and environmental monitoring. We cover Truro and wider parts of Cornwall including Penzance, Falmouth, Camborne, Redruth, St Austell, Bodmin, Liskeard and Saltash.